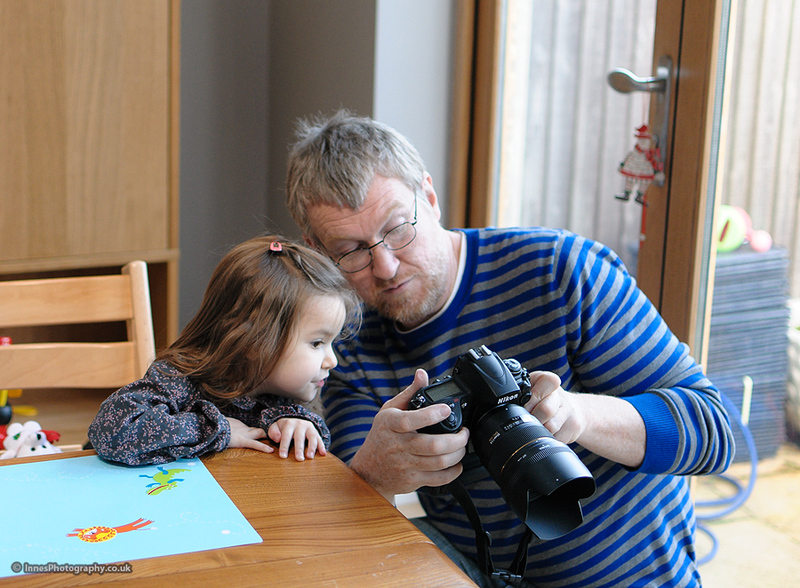 Innes Photography is a family business run by husband and wife team Michael and Corine. Michael is the photographer with Corine managing administration, bookings, assisting on shoots and offering invaluable creative input. Michael’s interest in photography started when at age about eight he found his grandfather’s old Brownie camera at the back of a wardrobe. Ever since then he has been fascinated by the ability to capture a moment in time. After being a keen photographer for many years, and having a few careers behind him, Michael’s passion for photography resulted in him becoming a professional photographer, though which discipline to follow? Landscape and nature are a great passion of Michael’s and he will continue to create and sell fine art prints of these images, but a more powerful drive to capture those fleeting moments of emotions and the essence of who and what a person is resulted in portraiture being the primary photography discipline. The decision to focus on fine art portraiture for children was driven by Michael’s ability to interact with children. His relaxed personality and unique talent to communicate with children, seeing the world from a child’s perspective along with his skill with a camera made him a first choice for babysitting with friends and family. 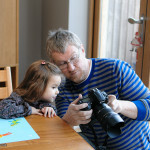 In addition to this, he worked for 11 years as a youth worker which added professional skills and working practices, all of which created the foundations to be a successful children and family portrait photographer. So why not film or video? Since the beginning of the 20th century moving images have become the dominant visual medium. Although fascinating, moving images are ephemeral moments, moments you do not have time to absorb, to gather in all the details and emotions captured at that moment in time. In stark contrast a photo does just that, time stands still, you can return to and linger in that moment in time for as long as you wish. Immersed in the details you can evoke memories and emotions and be transported back in time, and as these photos are passed on to future generations they can too can see and feel that captured moment in time. Michael not only loves to capture these unique moments in time, but he also loves to print them, and not dull lifeless mass produced prints, but rich, textured hand crafted fine art prints that make you feel you could step into the photo and be there. The digital age has brought many benefits, but for some the printed image has lost its way, your photo deserves to be printed, to be viewed and enjoyed in colours and textures that a screen cannot give. Michael’s style is very naturalistic; he believes that the best images are captured when the subject feels relaxed and not forced. With children, especially younger children, this often means being in their own space, or surroundings where they feel comfortable. This is best achieved by a photo shoot at home, or when participating in a favourite activity. An outing to the zoo or a theme park can also result in memorable photos to cherish for a lifetime. If you would like this passion brought to portraits of your children, then contact us to arrange a consultation.